American white oak is a particularly attractive, hard-wearing type of timber with a subtle natural sheen that is often synonymous with luxury and quality. It is naturally a tough and heavy timber, with densely packed growth rings that create a fine grain, making it almost water-tight, and it is also highly resistant to rot. All these features enable oak to withstand a lot of wear and tear, making it an ideally suited material for staircases and stair parts. Right from the start, you need to consider how you want the hardwood your staircase is made from is finished so that all the parts are fully sealed and presented in the way you want. The right finish can do many things, from protecting your fittings against accidental damage, or regular wear and tear, to preventing surfaces from becoming slippery. Make sure you do as much research as possible before you decide on your finish of oil, wax, varnish - or a combination of the three - that you feel is right and will suit your needs. However durable the finish on your staircase is, it will still encounter wear due to traffic throughout its life and it’s a good idea to ensure people remove stiletto heels or particularly hard soled shoes before climbing the stairs to reduce the damage this wear can cause. Also, guests or members of your family may, on occasion, find themselves carrying objects up and down the flight - which, however careful they may be and whatever the level of safety boasted by your treads and risers, always raises the possibility of something being dropped or spilled onto one or more of the components and causing cosmetic damage. You can often buff or very carefully sand out a superficial scratch or chip on hardwood and you should always ensure you keep extra supplies of your chosen varnish or other finish to cover up the results of any area that has needed to be buffed or sanded. If a spillage of a liquid occurs, it’s vital to act quickly; liquids can soak into wood fairly easily, no matter how it’s treated. This is particularly a problem if the liquid is coloured or corrosive. Wiping the spill away swiftly and going over the area with specialised wood cleaner should be enough to resolve the issue, though if you’re not fast enough, it may be necessary to sand down the area and clean the grain. It may sound like a minor issue, but dust - particularly in older houses where there is naturally more of it - can really make a difference to the look and feel of a staircase. Be sure to polish the wood as often as possible with a soft, non-abrasive cloth to keep the rich colour and shine looking perfect. You may also find that parts made of other materials, like glass or metal, will also need to be dusted regularly to keep them looking smart. Time and constant use can take its toll on staircase parts, from treads and risers to balustrading - particularly if your house is home to fun-loving and boisterous youngsters or pets! It’s important to check the structure of your staircase on occasion to see how it is holding up, no matter how sturdy it may have seemed at the start. One of the most important things to check is the state of the nails and screws holding the components in place, as they can become bent over time. Sometimes, rectifying an apparent problem here can be as simple as gently tapping a few misshapen nails back into place. Cracks and woodworm can be another thing entirely. If you spy a few nicks in the woodwork, using a dull implement such as a butter knife to pick off any superficial loose bits can help you to see the extent of the damage. It may be that the crack isn’t too deep and can be fixed with a little sanding and a touch-up of the finish. However, if a crack runs a considerable way through the structure it may be that a fairly extensive renovation is in order. In this instance, it might also be worth checking the structural integrity of the house itself to see if anything has shifted. 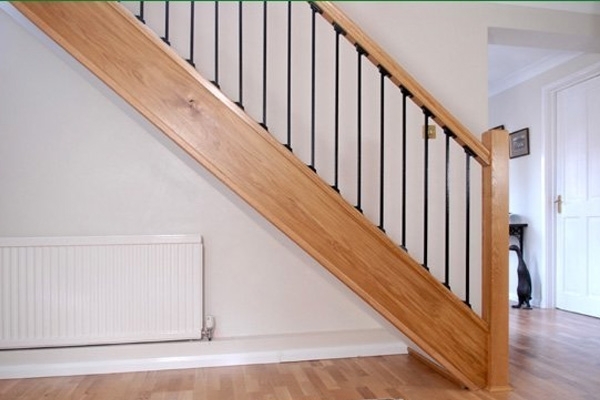 If you have woodworm, the strength of the staircase is likely to be compromised and it’s possible that a number of its fittings may need to be replaced. Woodworm infestations should usually be checked by an expert as once they are visible they have probably already caused damage to the interior of the timber. 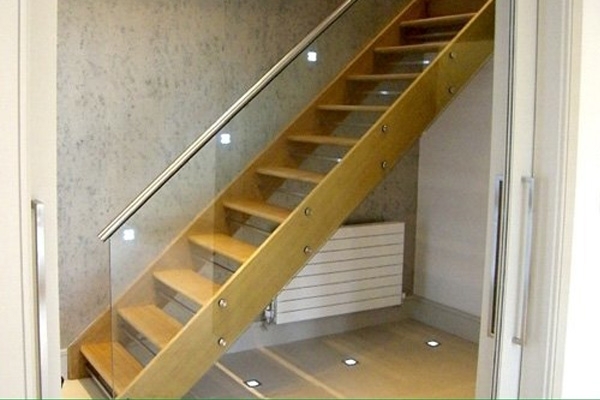 Pear Stairs is one of the most well-established staircase manufacturers in the UK, with a history stretching back over more than a century. 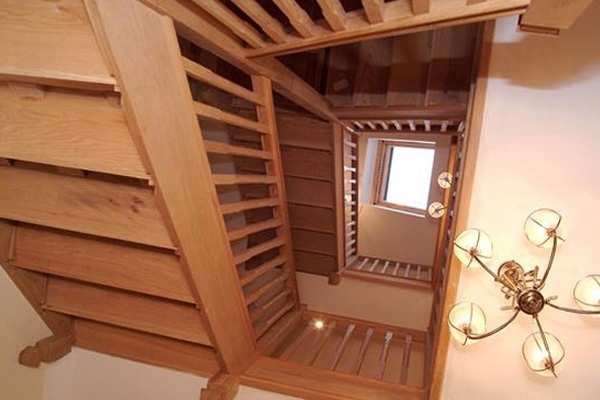 If you’d like to know more about the upkeep of your stairs, or if you’re interested in a renovation, simply get in touch with our design team today on 01938 553311 or browse the website.